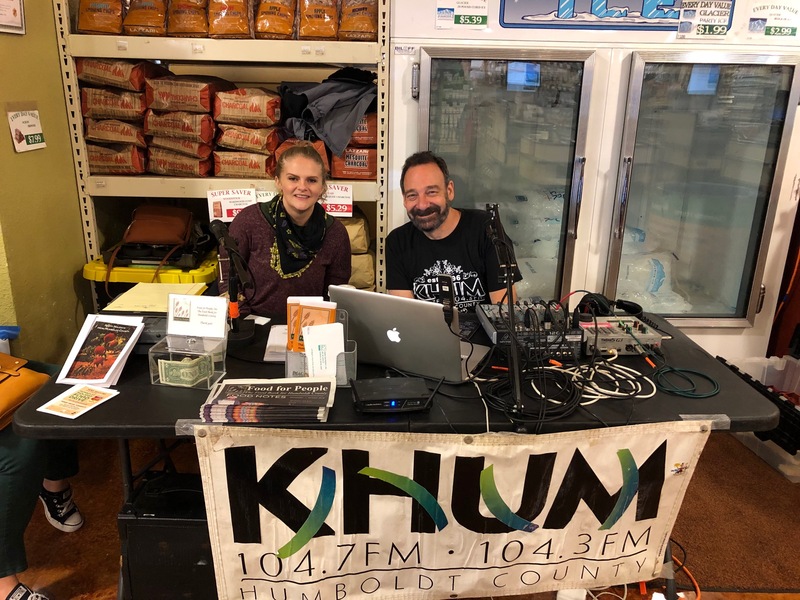 This morning we are at Eureka Natural Foods in Eureka for the Holiday Spirit Food and Fund Drive. Here I am pictured with Carley from Food for People. We are off to a good start with our goal of 1200 Pounds/Dollars for the day. We will be here till 6pm. Please come by an be generous. If you can't make it out to ENF, go on line and donate! UPDATE: Thank you Eureka, we shattered our goal of 1200 pounds/dollars and ended the day with 2622 pounds/dollars! Today (Thursday) we are at Wildberries Marketplace. Arcata, the challenge is on! Can you beat Eureka's total from yesterday? ?